This beautiful 3BD 2.5 BTH end unit Town Home is warm & inviting! Kitchen has granite countertops & tile flooring plus new double oven stove, dishwasher & microwave. 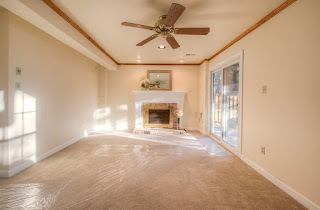 Spacious master w/ walk-in closet. 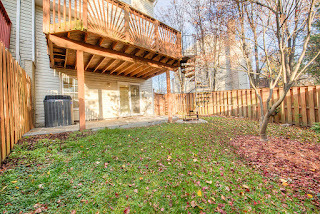 Walk out patio from basement under large deck - great for entertaining! New washer & dryer. Newer windows & HVAC system. The home is an end unit with extra yard and garden space. 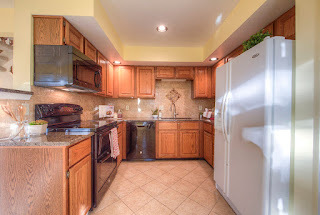 There were many updates already done when we bought it, including granite countertops in the kitchen and guest bathroom, newer HVAC, and newer windows. 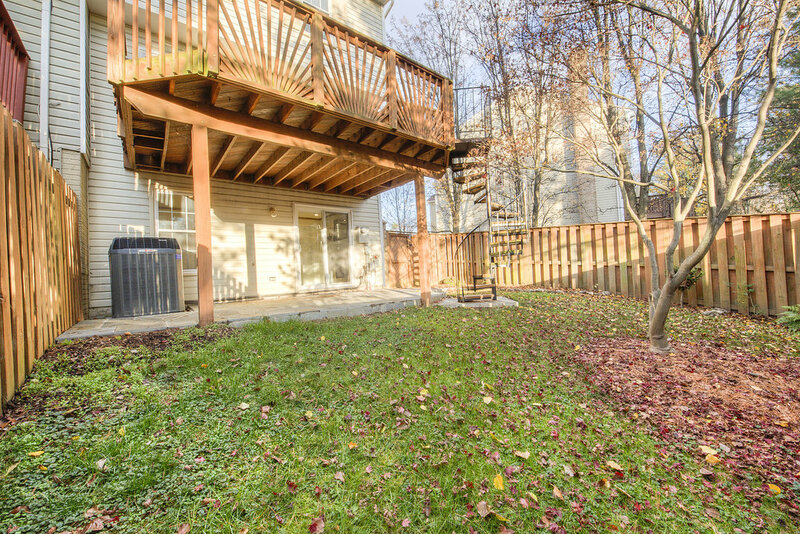 It has a large and sunny deck that backs directly to trees. The basement walks out to a flagstone patio we added after moving in. We also like having a garage and our own driveway to park. We loved the custom window box in the kitchen, and the open feel of the entire kitchen/dining area. The master bedroom is very spacious and has a nook outside the walk-in closet that could work well as a vanity/dressing or reading area. We love the neighborhood. Herndon Woods is a quiet cul-de-sac and our home offered a pleasant retreat from the sometimes hectic pace of life in Northern Virginia. Several parks are within easy walking distance, but the neighborhood is ideally situated for driving into Reston, Tysons Corner, and Fairfax. Springtime is beautiful at Herndon Woods because most of the houses, including 711, have cherry blossom trees in front that look gorgeous in full bloom. 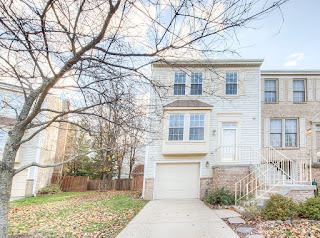 The property is a short walk from the Historic Town of Herndon, which boasts a number of great restaurants, annual festivals, the W & OD trail, and the local library. We have really enjoyed walking to get smoothies at the local Green Lizard bicycle and coffee shop, going for ice cream, or just passing the time in the town center. The Town of Herndon’s Community Center is only a short distance away and offers a tremendous range of activities for kids and adults at great prices. The Community Center has tennis courts, an indoor pool, and one of the best playgrounds in the area. Reston Town Center and Dulles Town Center are only 10 minutes away. The Wiehle Avenue Metro Station is also easy to access by bus or car. We have always enjoyed the food and ambience at Jimmy’s Old Town Tavern, and at Zeffirelli, an Italian restaurant in Herndon. Lake Anne shops, located 10 minutes from the home, also offered a great place to shop and dine along the picturesque lakefront. We found that Lake Anne made for a great time out with the family and an opportunity for relaxed dining experience. Reston Town Center also has many great stores, restaurants, a movie theatre, and a plaza with a maze and play fountain for kids.